It's just two minutes and 22 seconds of black-and-white video. In it we see a play-through of classic '80s Game Boy title Super Mario Land. Pretty bland stuff, until you hear how it was created. The YouTube Minecraft Super Mario Land in Stop Motion video is the culmination of more than 500 hours of work by three dedicated Minecraft gamers using more than 18 million blocks of in-game wool to meticulously recreate the 800 still images that make the video. Each image is a masterpiece in block placement, dropping dyed wool blocks in the game's creative mode within the frame of a massive Game Boy created in the virtual world. The Game Boy's screen is 160 blocks across and 144 blocks tall. That means it takes 23,040 blocks to fill the screen, each representing a single pixel in the game. James Wright, a 21-year-old British carpenter who lives in England, and Joe Ciappa, an unemployed 29-year-old living in the US, me through video games, the two told Kotaku in a recent instant message interview. "We started playing together when GTA IV came out," Wright wrote. "We started talking on Xbox and began gaming." The two quickly became friends over matches of Grand Theft Auto, Rainbow 6, Call of Duty, Battlefield and then Minecraft. Now it's only Minecraft. "We picked up Minecraft about a year ago and started a personal server," Wright said. "About a week later I suggested to Joe we put together a small website just with some Minecraft related videos and content." The original plan was to make their site, Minecrafta2z.net, a place for hosting video tutorials for the game. But the server they hosted soon took over most of their free time. Then they came up with the idea of making stop-motion videos using the game. Initially they wanted to see if it could be done. They started with a Pac-Man creation. Then they did Bomberman and Space Invaders. They created Pac-Man and Space Invaders by eyeballing their creation, one frame at a time. They build the levels on a huge flat field and then took pictures of it to use for the next image. "Kotaku did a post on Space Invaders and it was crazy to see so we wanted to try and do something much bigger," Wright said. About that time another player, 29-year-old Tempusmori, who lives in the Netherlands, had the idea to make a full-sized, 1:1 Game Boy in Minecraft. "The Game Boy allowed us to pretty much recreate any original Game Boy game," he said. To create the Game Boy videos they first hunt down a copy and play it in an emulator, recording the video. Next they break the video down frame by frame and rebuild each frame pixel for pixel inside the frame of their giant in-Minecraft Game Boy. "At which point we pretty much just turn into zombies!" Wright said. Their Zelda video included 1160 images, the Super Mario Land video had about 800 screens, each screen uses about 23,040 blocks to create. "What you see is 100 per cent Minecraft," Wright said. "Every pixel on the screen is one wool block. The screen itself is on a giant Game Boy. We build each screen take a screenshot from above. After the picture we move everything that needs moving for the next screen and repeat." The team estimates it took them about four weeks, working six to seven hours a day, seven days a week, to create the shots. Once all of those pictures are taken, the team drops them into a movie maker and has each one display for 0.165 of a second. The end result turns their hundreds of images into a single video. 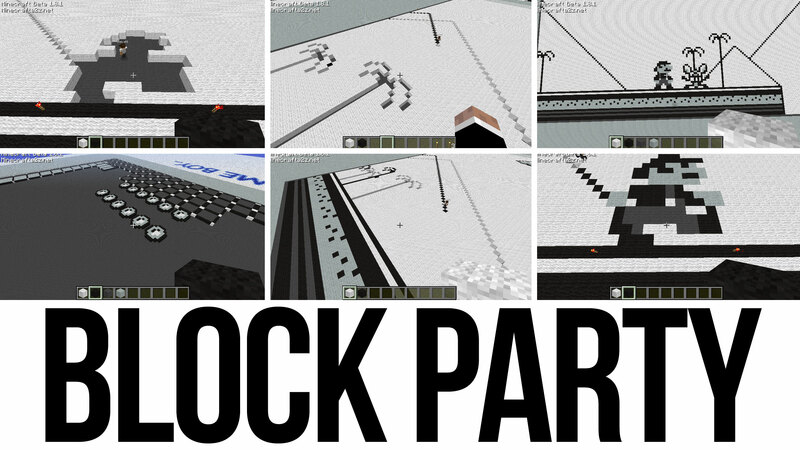 Their videos seem so spot on, so unbelievable, even Minecraft creator Markus "Notch" Persson thought they were faked. So Wright and friends created videos showing the process, in them we see avatar-sized pixels being placed on block at a time in the massive field that makes up the Game Boy's screen. "Joe is getting married next year I'm going over for the wedding," he said. "I'm also getting married next year Joe will be here for mine." While they plan to do perhaps one more stop-motion creation, the group is planning to move more toward humour videos created in the Minecraft world. "The ideas not 100 per cent yet but we are planning to do more After Effects animation and voice over work something along the lines of a comedy sketch show," Wright said. "We already made this parody of the "Gingers Do Have Souls" video. We had a ton of fun doing that"
Granted it's an impressive feat, but "...about four weeks, working six to seven hours a day, seven days a week"? Generic crack about how some people have too much time on their hands. man, such a low fram rate, the timing was all off. if you're gonna do this, do it properly. These guys spent all of their time doing this and their fiances haven't dumped them yet? Wow where do I find a woman like that!